Basel Action Network (BAN) announced today a new Performance Verification (PV) initiative to increase rigor and confidence among stakeholders in its e-Stewards® certification program, already considered to be the “gold standard” for responsible recyclers of electronics worldwide. The PV will involve random unannounced on-site facility inspections to verify ongoing day-to-day performance is meeting the e-Stewards Standard. The inspections will be in addition to the normal, prescribed yearly scheduled 3rd party audits accomplished by accredited certification bodies. The new program, approved unanimously by the multi-stakeholder e-Stewards Leadership Council, will commence in May. The program will be conducted as a pilot throughout 2015 with e-Stewards volunteers leading the way in the program’s development. The call for volunteers will be issued this week along with a notice of changes to the standard to accommodate the program. The program will be funded by a $250 per-site levy on current e-Stewards Recyclers’ auditable sites. This cost is expected to be more than compensated as increased confidence in the program attracts new enterprise customers. Precedence for heightened and unannounced oversight activities exists with many standards already, including the European Union’s CE Marking program related to medical device safety and with the NAID certification program for information destruction. 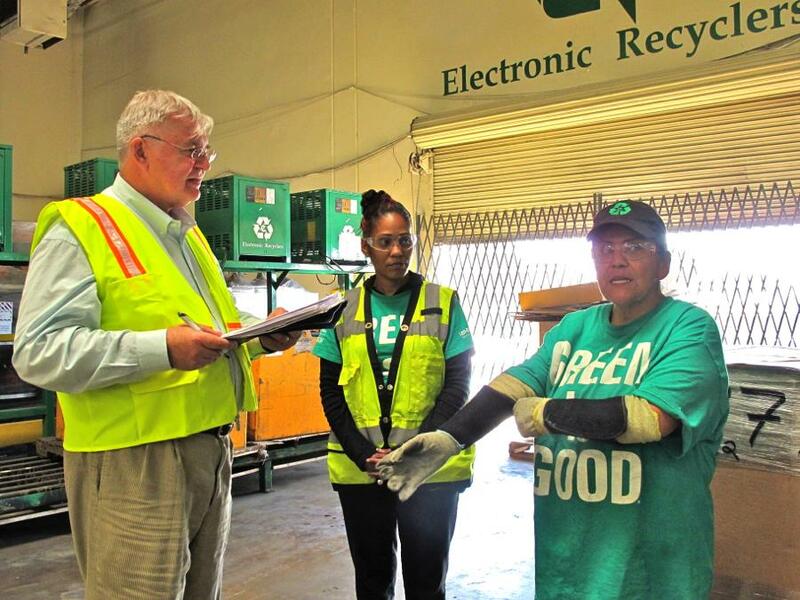 During the inspections, e-Stewards recyclers will be asked to demonstrate conformity with selected requirements of the e-Stewards Standard. If evidence is discovered which shows day-to-day operations are not in accordance with the Standard, appropriate action will be taken to safeguard the brand and to ensure the non-conformance dealt with commensurate with the gravity of the circumstances discovered. The Basel Action Network (BAN) is the world's only organization focused on confronting the global environmental injustice and economic inefficiency of toxic trade. Known for its investigations on 'digital dumps' of e-waste in China, they work to prevent unsustainable dumping of the world's toxic waste on our global village's poorest residents, while at the same time actively promoting sustainable solutions to the waste crisis. Learn more at www.ban.org.